Este tipo de cosas no se pueden dejar de compartir... es gelato en forma de flor, es de Amorino, y es DIVINO. Marcela de Mink Blog lo descubrió en Paris por primera vez y ahora lo tienen en Nueva York... ¡wow! ¡Qué antojo! Estoy totalmente de acuerdo con Marcela, combinar cosas bonitas con la comida es innegablemente ENCANTADOR. 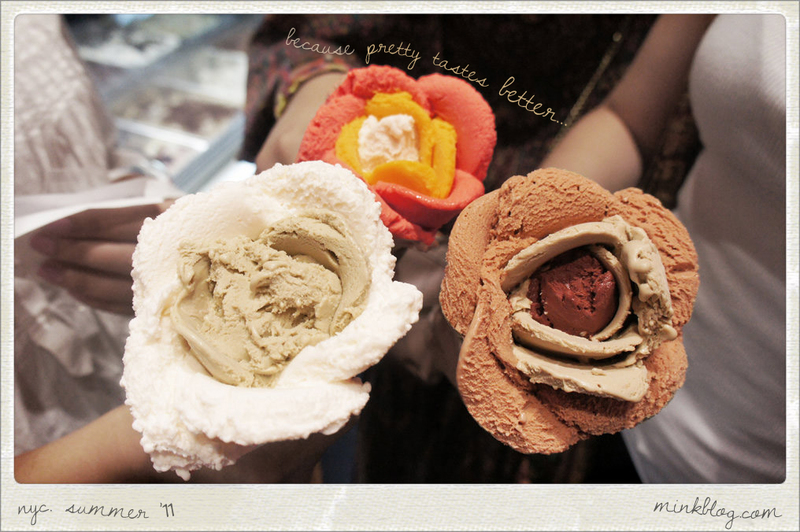 These types of things are worth sharing... it's a gelato shaped flower, it's from Amorino and it's DIVINE. Marcela from Mink Blog discovered it for the first time in Paris and now you can get it in New York... wow! what a craving! I totally agree with Marcela, combining pretty things with food is unmistakably CHARMING. Love it, absolutely gorgeous way to serve gelato!